Having attended shows for several years with tractors and now the combines,I'm always amazed at the stories and experiences of others to many to list on this site for sure, without doubt the Dorset show brings with it a chance to meet people from all over the world who have experience in the machinery on display, you get to realise the global brand that was Massey Ferguson during that time, a truly incredible story. 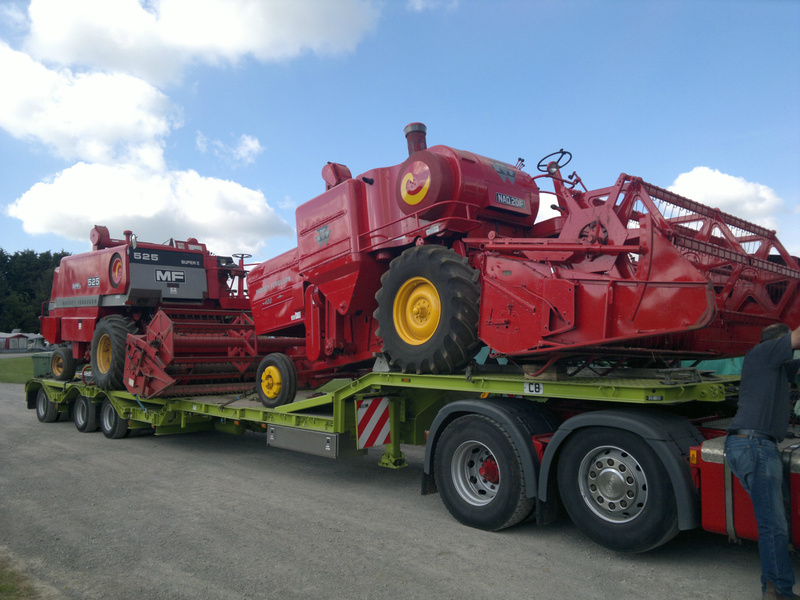 Here is a selection of pictures from various shows and working days, moving these combines around as you can imagine is fairly costly so as a busy working man I have to limit the outings every year and also with the width of the combines about 11ft 6 on a 10ft cut few hauliers will want the job!. 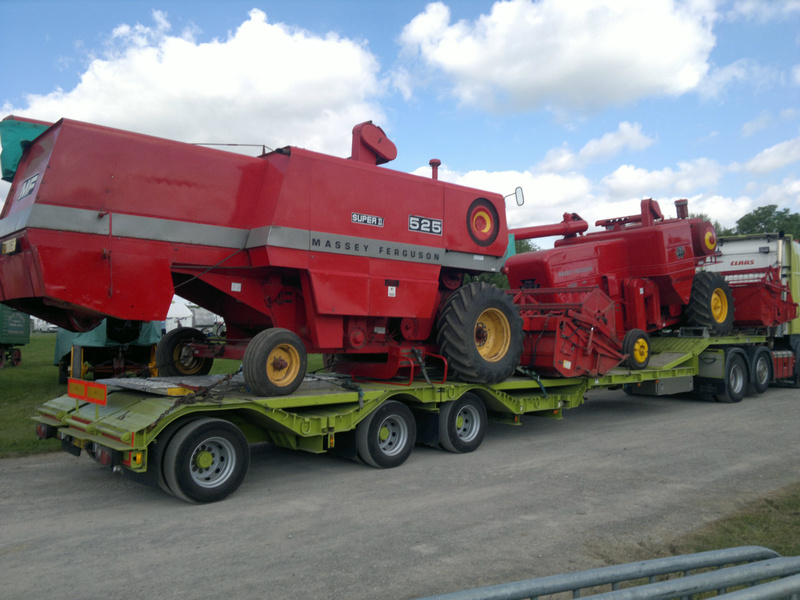 A couple of shots of the old girls before unloading begins !! 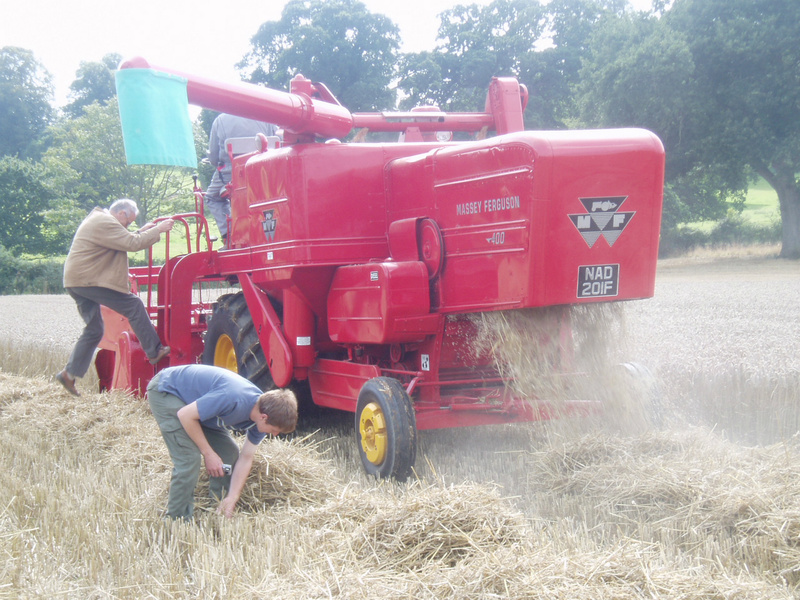 Two decades of harvesting history! 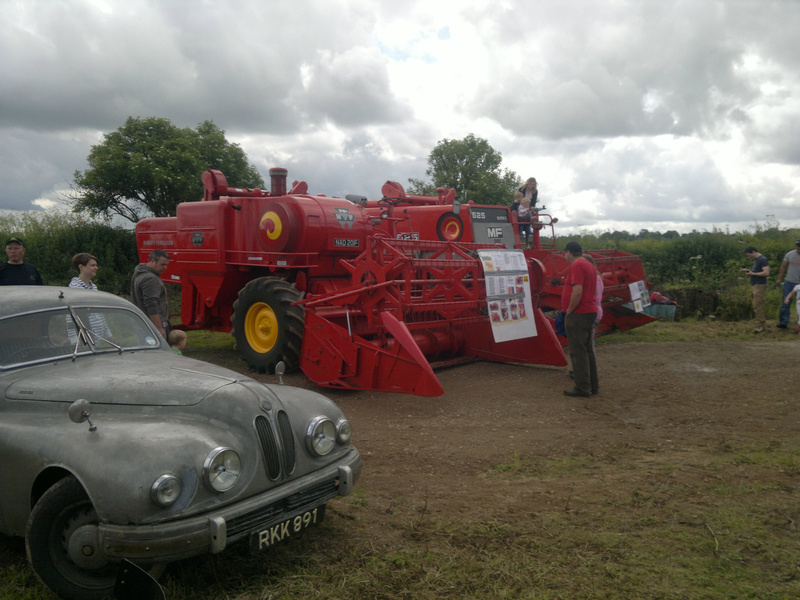 In the parade ring with the 525! 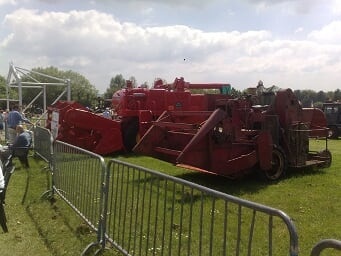 Navigating the daily parade ring! 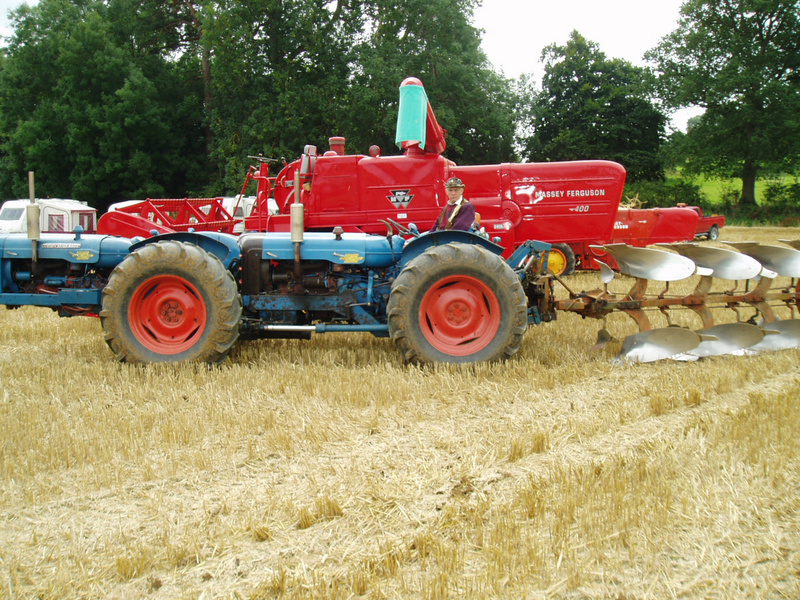 Yesterdays Farming ilminster somerset 2009 working day! 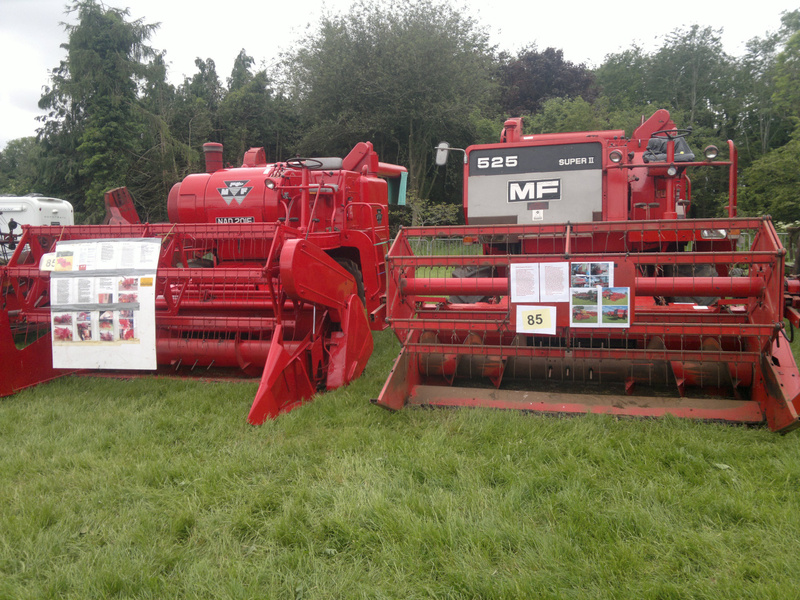 On parade with mf 31. 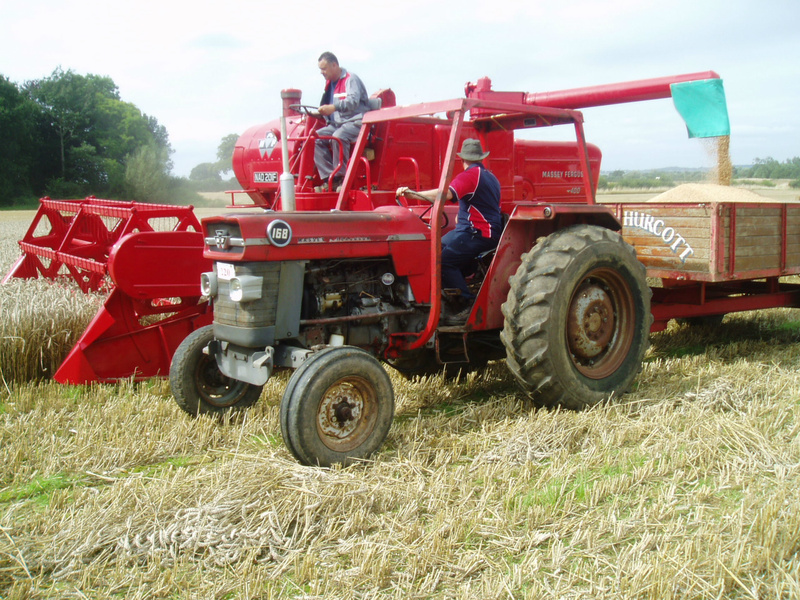 My good friend Mike Brockway steals the show as ever with his Doe, after competing in the ploughing section. 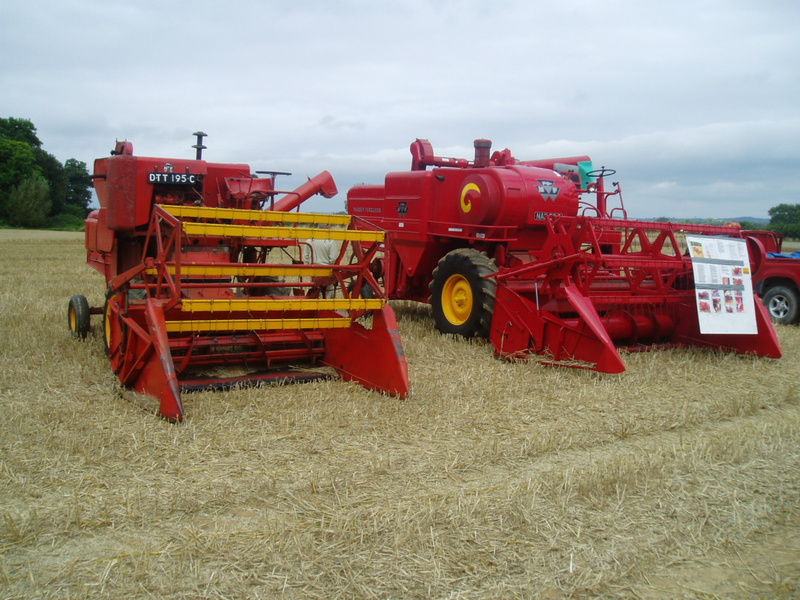 Two 1960s favourites the ultimate machines from a bygone age!! 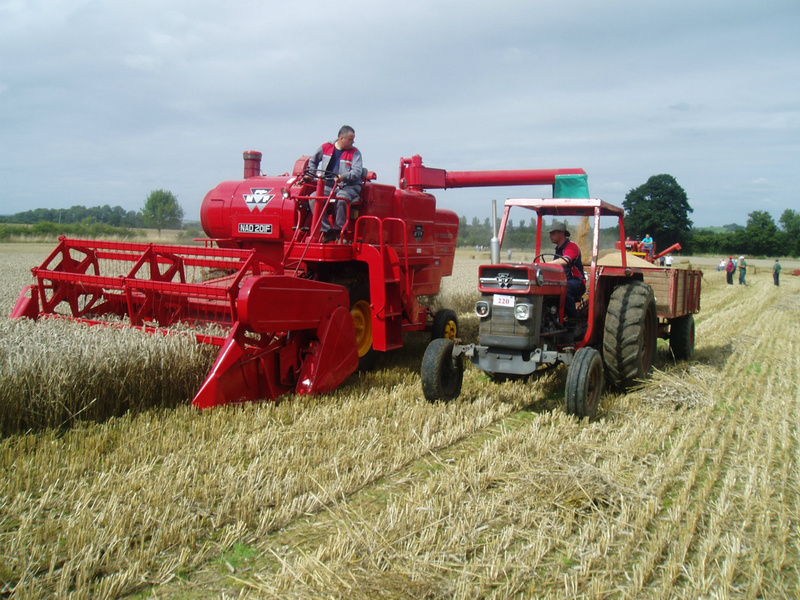 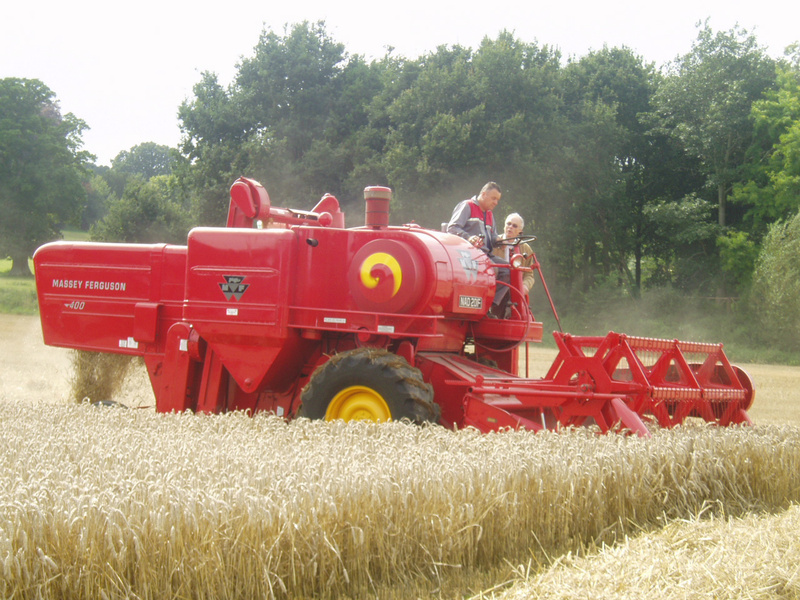 Cutting wheat at yesterdays farming.There is some film on YouTube 3 parts,Massey Ferguson400 yesterday's farming.Thanks to Billy the Alien !?? 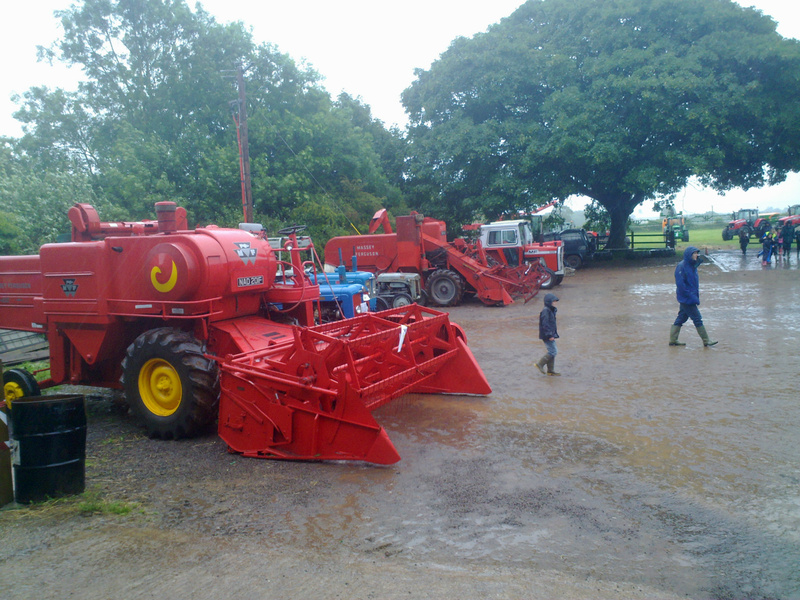 On a very wet open farm sunday 2012 400 780 special 565 tractor and a selection of fords. 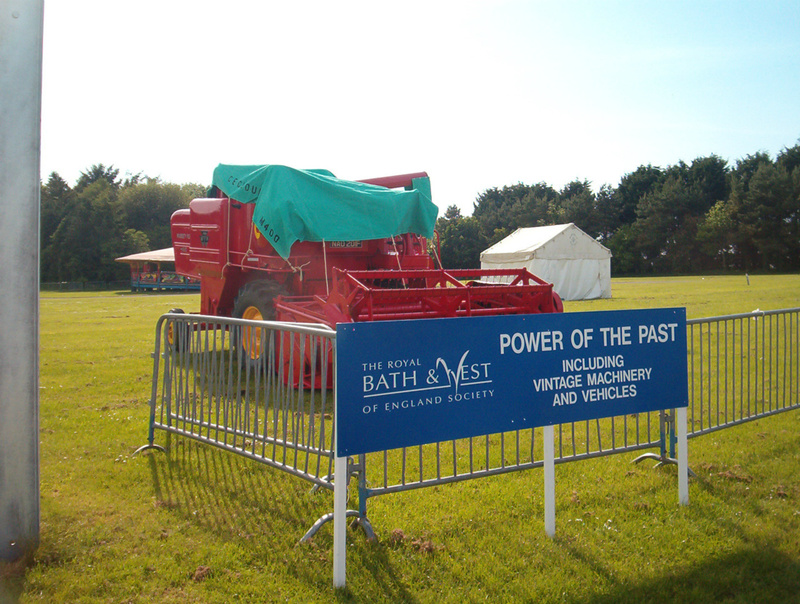 Another shot of the Bath and west show!! 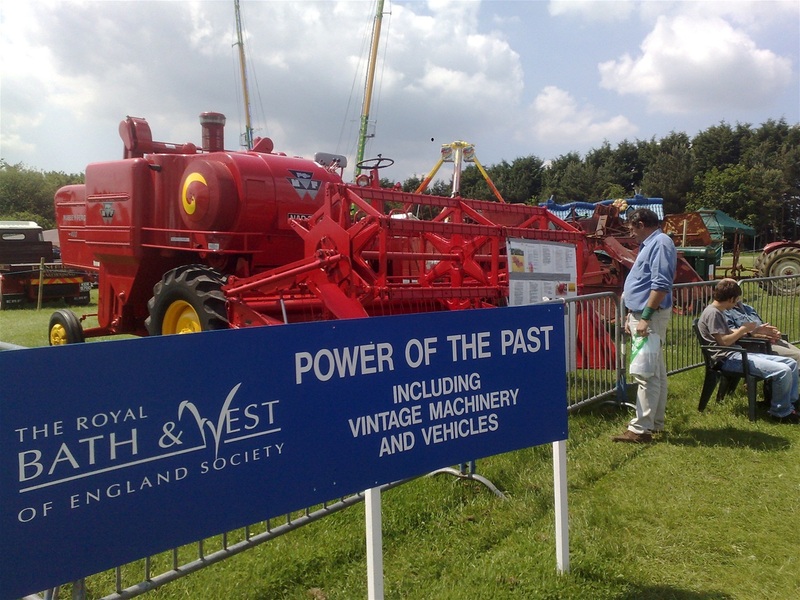 Unfortunately now this premiere event has scaled down what was a fine selection of machinery offered by individuals every year! 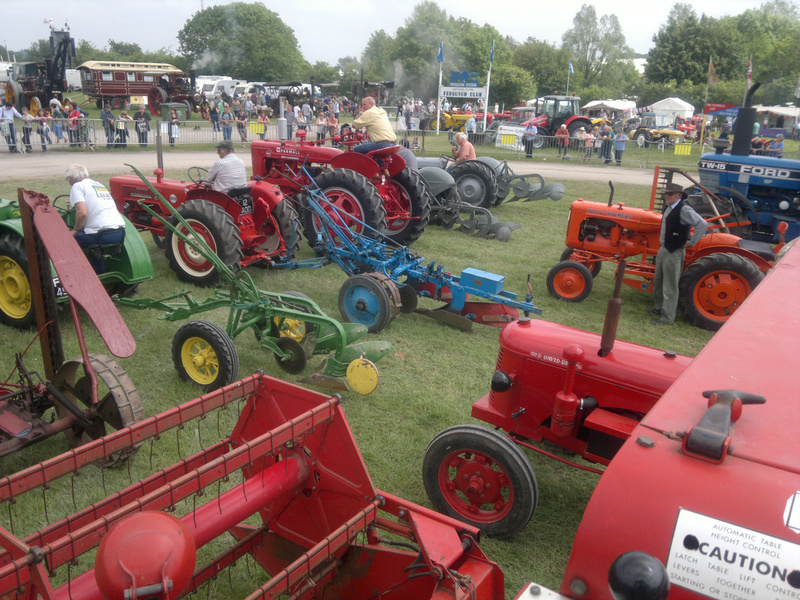 Perhaps the many thousands of visitors attending this show have lost interest in what was basically the original format for the Show.Agriculture. 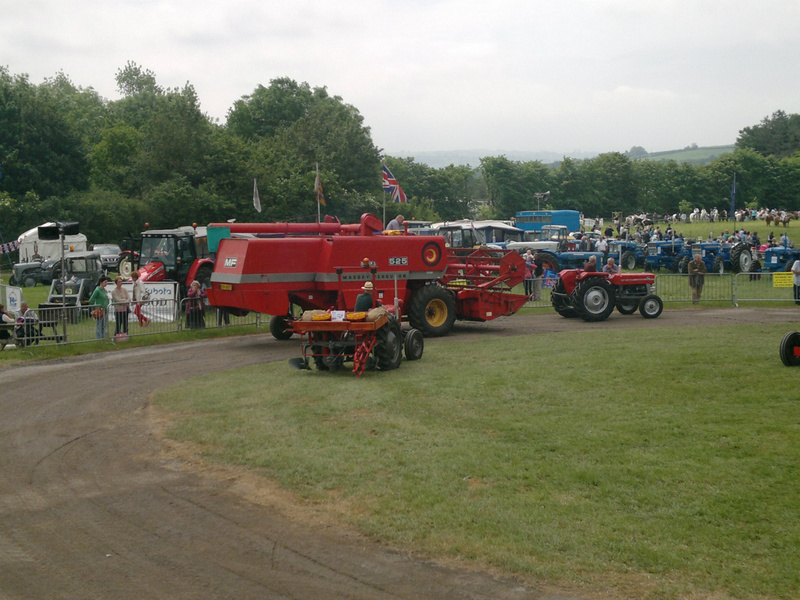 Rear shot of several combines, self propelled and also trailed a good turn out from everyone. 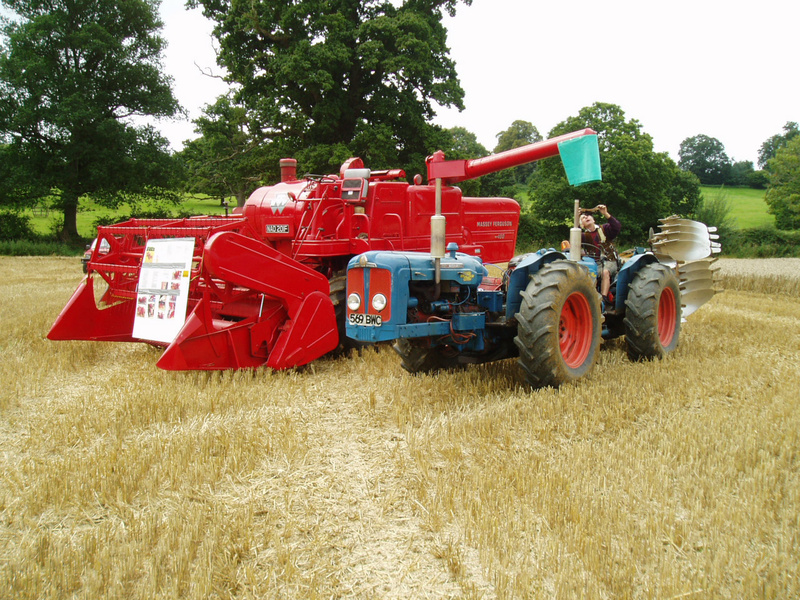 Collins 400 with a 735 bagger and rare trailed David Brown Albion . 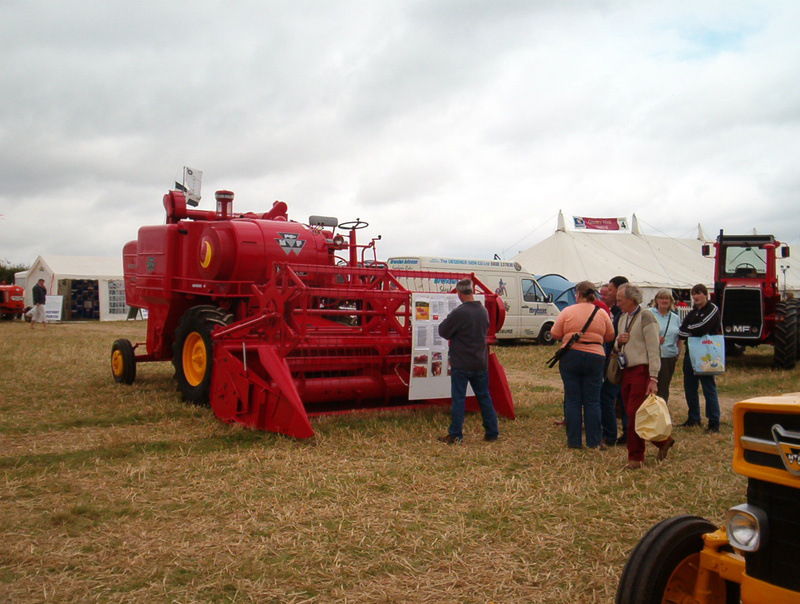 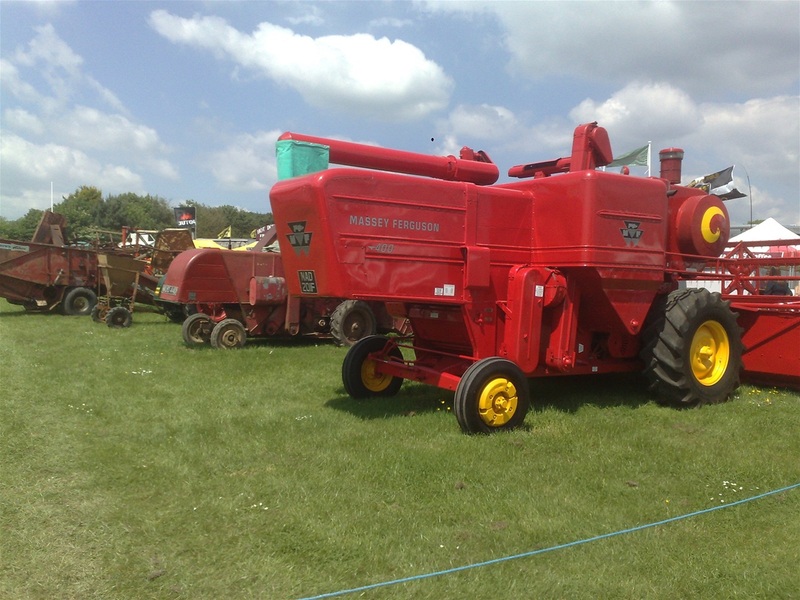 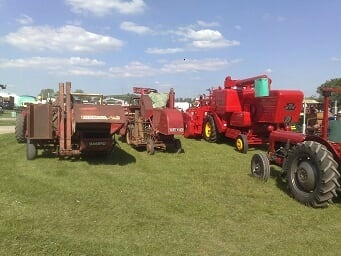 Another shot of combine line up at Bath and West Show.